Gong Xi Fa Cai (Mandarin) / Gong Hey Fat Choy (Cantonese). That's the Chinese 2 ways of saying Happy New Year. 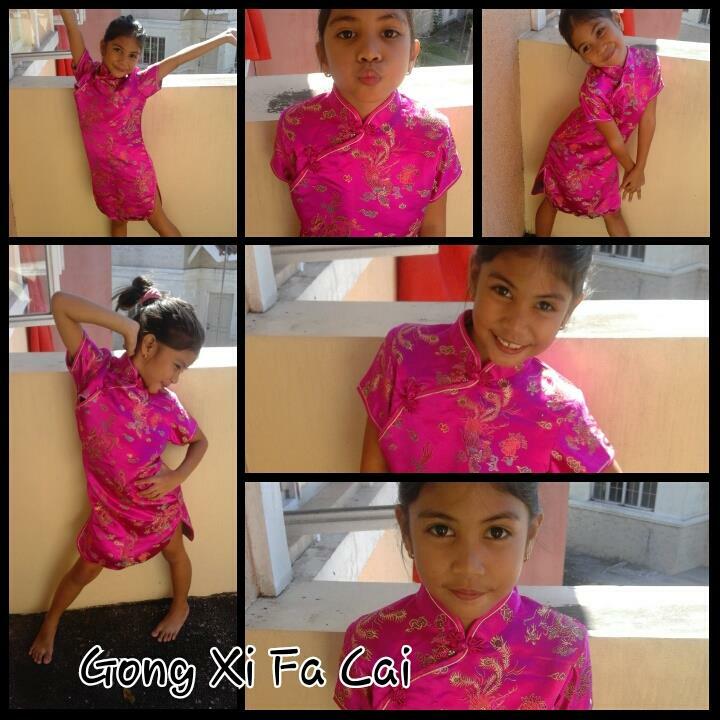 For us, a simple Happy Chinese New Year will suffice! Been wondering though that I did not receive any tikoy! Where are my Chinese friends? 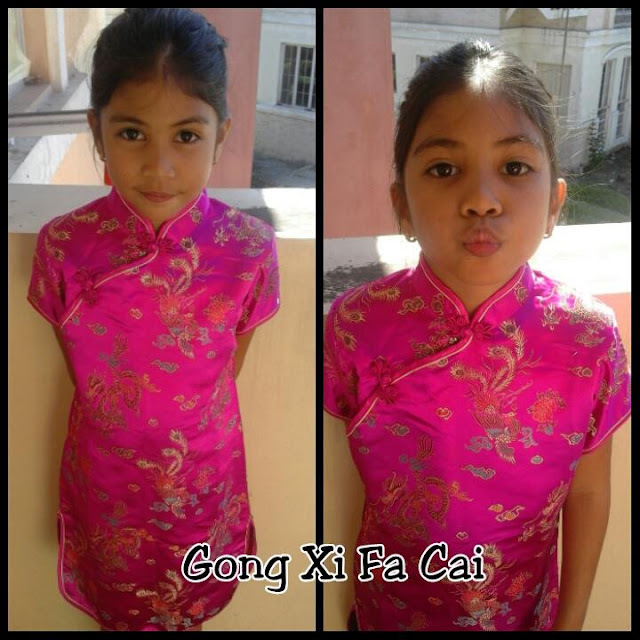 Alexa is wearing a Chinese traditional dress bought in Shanghai the other year! Happy New Year! Whats in store for us in the Year of the Monkey?